* Widen the cutting section, thicken the body parts, to cut smother, without vibration. 10T Wood with nail inside, plywood & plastic tube, carbon steel, stainless steel. 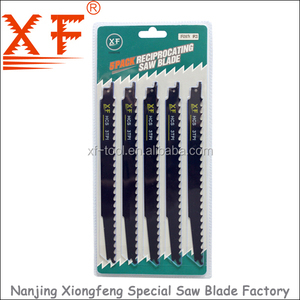 Our company is the biggest manufacturer in China, Dalian Special Steel Products Co.
1 YRS Yueqing Zhongxin Tools Co., Ltd.
2 YRS Jiangxi Hongsheng Saws Manufacturing Co., Ltd.
Q3: What are the characteristics of the product9 A3: Our main products are electric tools and accessories, especially for people who like repair by themselves. Q6: What is your target customer9 A6: Mainly for large supermarkets, chain stores, the network shopping, TV shopping and other customers. We are proud of our wide product range, strict quality control and stable customer relationships. 2 YRS Zhangjiagang City Hua Gong Tools Co., Ltd.
2 YRS Danyang Tiancheng Tools Manufacture Co., Ltd.
1 YRS Nanjing Jin Mei Da Tools Co., Ltd.
2 YRS Ding Yin International Trading (Shanghai) Co., Ltd.
Once the goods arrive at the port,you may pay the balance after you get the Bill of Loading copy. For regular orders, goods can be sent by air or by sea, just according to your demand. 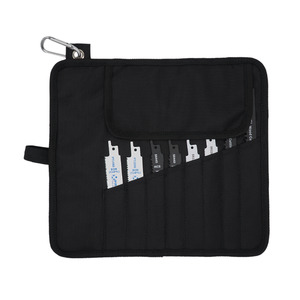 Q:Do you test your goods before delivery9 Yes, we have partial test before delivery. 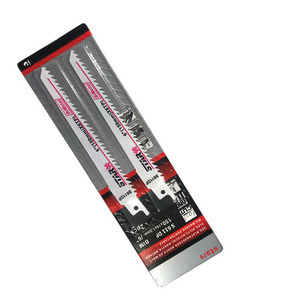 Tungsten Sabre Saw Blades 8-piece Assorted Set/Jig Saw U-Shank Sabre Scroll Saw Blades Wood Metal Cutting kit Made Of Tough Tungsten Steel, These Blades Come In A Variety Of Shapes For Every Use. Shortest One In The Picture Is 2 3/4" Long, Mid Length Ones Are 3 1/2" Long, And The Longest Is 6" Long. 5-100mm) 1.The term reciprocating saw is commonly assigned to a type of saw used in construction and demolition work. 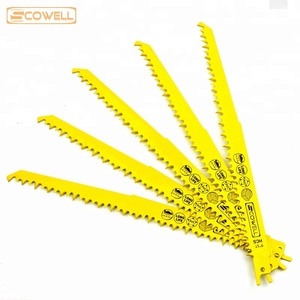 3.The typical style of this saw has a foot at the base of the blade, also similar to a jigsaw. 4.The user rests this foot against the surface being cut so that the tendency of the blade to push away from or pull towards the cut as the blade travels through its cycle can be countered. Packing and Shipping We will choose the best way to ship goods to you. We cooperated with many logistics companies,can ship goods by sea,by air and sea+truck,air+truck and so on. we will choose the best shipping way according as your goods and quantity. Developing a base of technology by constant improvement in processes and quanlity control. We focus on efficient productivity and technology development, and have the latest and the most complete technical equipment and testing equipment. Our development ability is strong, can according to the customer and market needs, quickly produce excellent performance of new products. 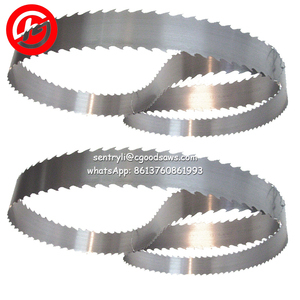 S1617K Wood Cutting Reciprocating Sabre Saw Blade Reciprocating Saw Blade Sabre Saw Blade Material: HCS Art No. 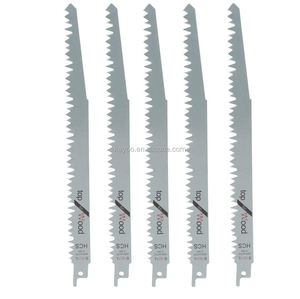 : S1617K Size: 300&times;19&times;1.25mm 3TPI The S1617K reciprocating saw blade is a straight cut blade ideal for coarse cutting in wood up to 250mm thick. 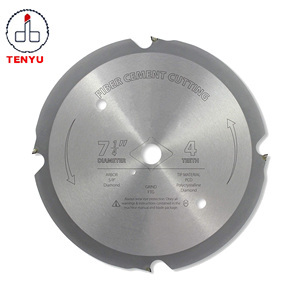 This reciprocating sabre saw blade reduces the amount of dust produced and is manufactured to the highest quality to ensure robust and sharp blade. 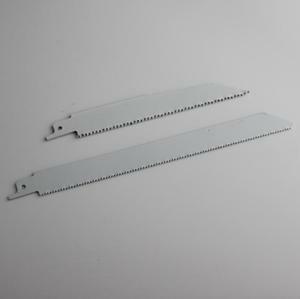 Alibaba.com offers 310 sabre saw products. About 81% of these are saw blade, 1% are saw. A wide variety of sabre saw options are available to you, such as free samples, paid samples. 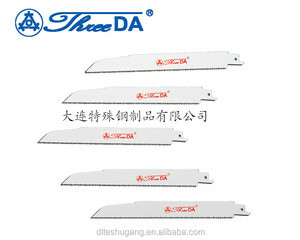 There are 310 sabre saw suppliers, mainly located in Asia. The top supplying country is China (Mainland), which supply 100% of sabre saw respectively. Sabre saw products are most popular in North America, Western Europe, and Mid East. You can ensure product safety by selecting from certified suppliers, including 30 with Other, 28 with ISO9001 certification.